The vocalist and guitarist, Masakazu Takeda started writing songs when he was in high school and the band was formed in February 2011. 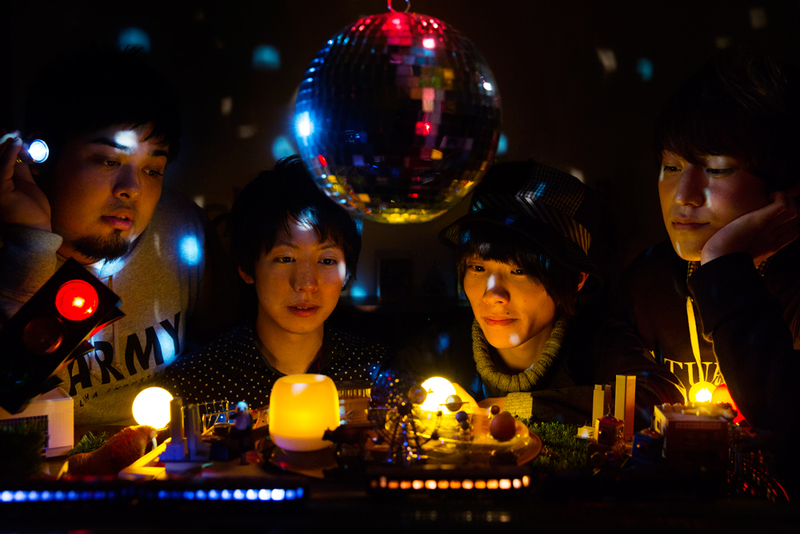 The band released self-produced 5-song EP “Amehuru Basu Tei” in March 2012 and sold them at venues. In the summer of 2013, the members settled on Kenji Yoshida(Gt), Kota Fujii (Ba) and Takuto Hayashiyama (Dr). The four piece band’s sound is a main-stream band sound. While performing mainly in Tokyo area, the band released “Kinseijin ni Koi wo Shita” from DAIZAWA RECORDS/UK.PROJECTon June 4th 2014. The title track was selected as power push on many local radio stations. On January 21th 2015, The band release their second EP “Shinkiba Hatsu, Ginga Tetsudo ha Iku”.